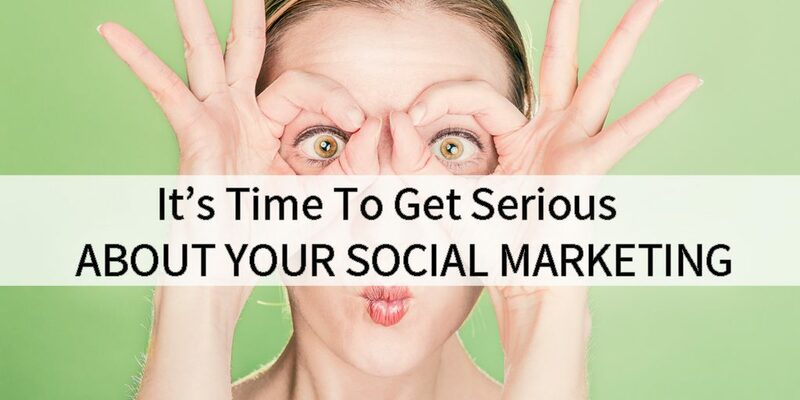 Are You Serious About Your Social Media Marketing? Did your business think that social marketing meant signing up for one or more of the top social platforms? Or did you really have a strategic plan in place at all for your online marketing? Oh…you don’t have to tell us, we can see. Unfortunately, an improperly used, static or abandoned social site gives us all the information we need to evaluate your attempts. The bad news for you is, your customers and clients see it too. 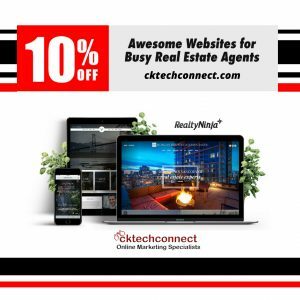 As an experienced online marketing strategist, I always inform business owners to only take on what they can successfully manage, if they plan on attempting to market their business on their own. Setting up social platform sites is just one small step in the process. Keeping those platforms active, content rich and engaging is a much different challenge. Your platforms, all require fresh, entertaining and interesting content daily. So if you are thinking of going it alone, you are best to consider just one social platform. It is much better to do one site well, then to do several sites poorly. If you set-up social media sites and then ignore or abandon them, then you are best to delete them. An inactive social platform gives a clear message to consumers…”WE’RE CLOSED”. Is that the impression you want to let possible clients and customers have? Today’s social marketing is successful when you actively build relationships with fans and followers. Don’t just talk at them with your product line. Social media marketing isn’t just about your product, listings or service. It is about sharing a variety of interesting and informative content that attracts attention and starts a conversation. Social marketing is about engaging with individuals, networking with other professionals and partnering with businesses. If you actually want your business to be successful, then you should ensure following what has been identified as a “best practice” in regard to your content delivery. This guideline recommends the 80% – 20% rule. What this means is, only 20% of your content posts should be related to your product or service, while 80% of your posts should cover other interesting, funny, enticing or informative content. The use of individual platforms, to pump out your content AT possible clients and customers must be evaluated, if you want to stay ahead of your competition. You can also no longer ignore your fans and followers you must learn to engage with them on every social platform you choose. Below. I have listed a few points for you to consider. If these statements match your use of social platforms, then it’s time to rethink your online strategy. a) You don’t follow back possible costumers on your social sites. b) You don’t thank fans for their likes, shares, re-tweets, mentions, plus+ and more. c) You don’t respond to the comments on your pages. d) You don’t join in the conversations. b) You don’t share other sites content. If this is your business approach to “social marketing” then you’re doing it wrong. Why, you ask? Because you have eliminated every element of “social”. If you want to improve your use of social marketing, then you must get some training on each site before you launch them. If you are going to try and do it alone, then it can be very time consuming to do it well. The better trained you are, the more successful you will be. You do plan to do it well, right? If you are one of the many companies, that have assigned an administrative assistant, office manager or summer student to run your social campaigns, then ensure they are provided with learning opportunities on the social platforms you have decided to use. Unfortunately, these situations fail more often than they succeed. You wouldn’t hire a receptionist to represent you in court, or a summer student to pull a rotting tooth would you? It’s time to identify that online marketing is not something that staff who have specialized in other areas, or already have full work schedules can possibly have the time or expertise to do well. The truth is, when your social marketing is done correctly, your social sites will get busier and consume more time from the staff you have assigned. This is something important to take into account when you are determining who will be responsible for your online marketing. You must make use of statistics, insights and analytics for each of your social platforms. There are several you can choose from, and often the platform itself offers free tools to measure the effectiveness of your social marketing performance. Don’t just review them. Make sure you understand them, and that you effectively translate them to make appropriate changes in your social marketing content and posts. You won’t know the results of your social marketing efforts, understand what you could do better, without reviewing these insights on a regular basis. If you have hired someone to do your social marketing for your business, then it is the perfect time to ask them for a monthly report on relevant statistics and analytics. Social platforms are ever-changing and evolving at a steady rate. If you haven’t been real serious in the past about your social marketing strategies, then the time has come. You can’t sit back anymore, and put the value of social marketing at the bottom of your business to-do list. It’s time to take online marketing seriously. After all, your competition is.